With Monster Hunter: World a little over a year old now, Capcom has teamed up with CD Projekt RED to bring a unique crossover of Monster Hunter and The Witcher to last year’s impressive monster-slaying game. If you’re at Hunter Rank 16 or above, this free title update will allow you to take on a new quest line, Contract: Trouble In the Ancient Forest. 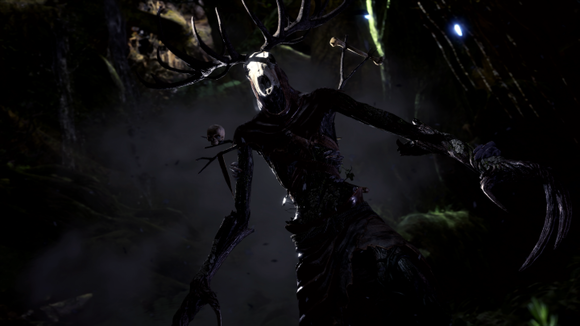 Starring The Witcher 3’s Geralt of Rivia himself, voiced by the now legendary Doug Cockle, you’ll be tasked with tracking down a new and deadly foe, the Leshen. This will require the White Wolf’s full arsenal of weapons and abilities which, you’ll be happy to learn, includes his silver sword and combat magic. There are also dialogue options that will shape the story, much like Geralt’s adventures in The Witcher 3: Wild Hunt (as well as the rest of the White Wolf’s adventures). As well as this new quest line, on February 15th a new, high-level multiplayer challenge will come to Monster Hunter: World, in the form of Contract: Woodland Spirit. This limited event will only be on until March 1st, and will pit players at Hunter Rank 50 and above against a more powerful form of Leshen. 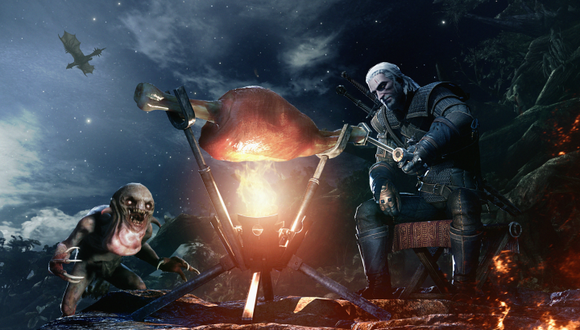 Completing Contract: Trouble In the Ancient Forest will earn players unique, Witcher-themed special items, resources for crafting Geralt’s armor and weapon set, a unique skin and weapon for the player’s Palico companion, as well as new gestures, titles, pose, and guild card background. But completing the timed multiplayer quest will also reward players with resources they’ll need to craft the armor and weapon set of the awesome Ciri, from The Witcher 3: Wild Hunt. The free title update for Monster Hunter: World is available now on Xbox One and PlayStation 4, with the PC update arriving at a later date.